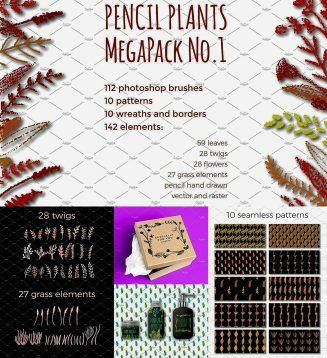 Set of 112 Photoshop brushes packed in 4 abr files: 20 grass brushes, 24 flower brushes, 28 twig brushes, 40 leaves brushes; 59 leaves+ 28 twigs+ 28 flowers+ 27 grass elements packed in 4 EPS10 files and appropriate 123 PNG files ;10 seamless patterns packed in 10 EPS10 files, 1ai swatches library file, 10 JPG files; 10 wreaths and borders packed in 10 EPS10 files and 10 PNG files. File format: .abr, .png, .eps for Photoshop or other software. 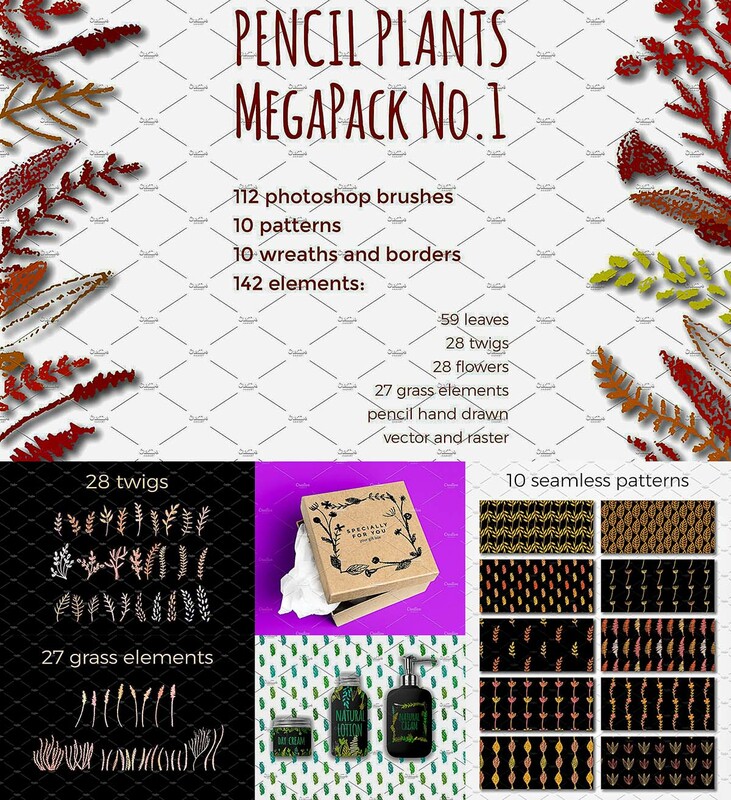 Tags: autumn, branch, brush, fall, floral, pattern, pencil, plant, twigs.